Helping veterans transition from active duty back to everyday life is one of the greatest investments a community can make. It often takes experience to anticipate and effectively respond to the needs of these men and women, whose readjustment to civilian life can include anything from securing new housing and employment to identifying a support group. While it might seem difficult to identify ways to help, it’s our civic duty to try. Thankfully, there are two organizations in Northern Michigan to lead the way. Veterans Housing USA was founded by Marine Corps veteran Mike Griffith, who, from personal experience, noticed a need for more accessible and affordable housing for veterans. To gain expertise, Griffith went through a construction trade program, which kindled a love for building. He then assembled his family, knowledgeable mentors, and community stakeholders to support the budding agency. “No one focuses on finding regular housing for veterans and their families,” says Griffith, who is passionate about changing this pattern. What also makes this organization unique is its focus on eliminating processes that complicate and delay the acquisition of a home. The agency accomplishes this by purchasing the home and circumventing some of the difficulties attached to Section 8 requirements. For example, Veteran’s Housing USA recently found a house that was well suited for a veteran they were trying to help, but one of the bedrooms did not have a closet, therefore voiding the possibility for Section 8 assistance. “We are here to help people who need support by finding ways around the barriers that keep these veterans out of viable and affordable housing. It’s not helpful when a person or system shuts out solutions simply because ‘we don’t do it that way,’” said Griffith. This growing organization continues to generate support for an important cause but needs community support to accomplish its goals. When Marine Corps veterans Dave Wenkel and Ben Gunderson heard that so many veterans were committing suicide, they felt compelled to do something meaningful. They decided to organize an awareness hike that would span 22 miles. The more people heard about the upcoming hike, the more people wanted to donate. They used the support to make the hike something official and recurring. Empower, encourage, and uplift vets whose demons have a leg-up on them. Come alongside vets and help in any possible way. Provide camaraderie to those vets in need of companionship or a listening ear. Be the collective booming voice for those veterans whose cries for help may be silent. 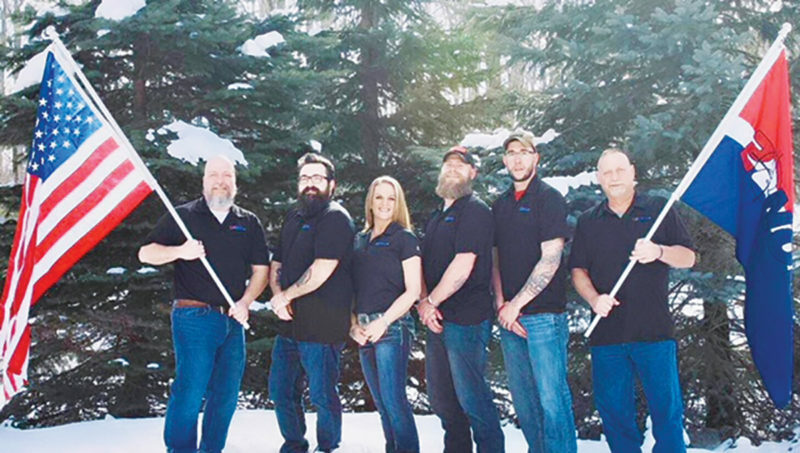 The dedicated board of 22 2 None has worked hard to learn how to run their organization in a way that maximizes the support they’re able to provide. Tabitha Beach, an integral part of 22 2 None’s operations and a veteran herself, shared ways the community can continue to support their work — be it through volunteering at veteran suicide prevention events, donating to 22 2 None, or referring veterans in need. Beach shared the story of a local veteran who benefited from the organization’s thoughtful programming and was able to turn over a new leaf. This particular individual had been feeling overwhelmed as some of his basic needs were going unmet, and he consequently lost his job and his ability to pay for housing. On the verge of eviction, he connected with 22 2 None. The agency identified the vet’s pressing need for reliable transportation, purchased a car to get him back on his feet, and referred him to additional veteran’s service organizations that assisted him with retaining his home. Both Veteran’s Housing USA and 22 2 None endeavor to make an impact on veterans in the area, and, little by little, they do.